Veit Mehler | #VeitMehler is helping people with #eyesight problems to improve their #vision naturally. Because #EyesightMatters. #VeitMehler is helping people with #eyesight problems to improve their #vision naturally. Because #EyesightMatters. Do Eye Exercises Really Work? They work, but not as well as advertised on most websites. Most eye exercise programs on the Internet are simply the Bates Method repackaged. Positioning them as an alternative health approach for your eyesight is borderline false advertising. We will pick that up below. Also, most how to articles and how to instructions on YouTube are discussing the same thing. But it is a limited approach to improve your vision. It’s a way to exercise your eyes that is also known as vision therapy and eye training. Vision therapist rely on eye exercises when their patients need to improve their eye muscle control. For conditions such as convergence insufficiency, binocular vision, crossed eyes, and lazy eye. Also behavioral optometry and pediatric ophthalmologists apply them to improve the vision of children to delay the onset of vision problems. Most online programs advertise to treat myopia or nearsightedness. That’s because this eye condition is the biggest market share they can grab. Eye muscle stretching, palming, and relaxing works best when the muscles are too tense and can’t relax. That’s the case for myopia (nearsightedness). In reality, most eye exercise programs don’t achieve that. The Bates Method only focuses on stretching and relaxing. It’s not designed to strengthen the eye muscles properly. In today’s world computer eye strain is a common problems. With hours of computer work per day, relieving eye strain is a great plus. Eye Exercises Are Not Enough Because They Don’t Balance Out The Entire Visual System. Your Eye Problems Have Underlying Root Causes In Your Mind, Your Emotions, Your Body, And Your Eyes. Read The Article And Click This Image To Discover Simple Ways To Improve Your Eyesigh. Most programs claim benefits for every eye disease. They compare the exercises to yoga and call it “yoga for the eyes”. The exercises have no effect on your state of mind, your emotional state, your organ health, and the rest of your body. You have to take care of all aspects, which we’ll discuss below. Another condition that can benefit from exercising your eyes is double vision because it is the starting point of eye problems. But the relieve doesn’t last, if you don’t take of the body-mind system. Also crossed eyes, lazy eye, and amblyopia can benefit. But a close look at the upper part of the neck is more important. That’s the area where the nerves controlling the eye muscles exit the spine. This is what we coined the “Triangle of Sight”. But for the pleasure it gives, most people are willing to keep their “coffee vice”. And that’s totally fine! That’s a bit more important to pay attention to. Especially for your eyesight. You see, the energy you get from the coffee, the boost, is not in the coffee… it’s in your body… it’s your own energy! You have a drought period… the land needs water… so you open the floodgates very wide for quite some time… but you still don’t get rain… what happens? You are lacking water resources now… until you top up! The problem for your eyesight is that your eyes need that kidney energy to see clearly. It’s an integrated part of eyesight. But there is a solution for that, too… so stick with me! That’s a real issue! For your eyesight, your health, and our environment! But true holistic health also considers your environment you live in… because it feeds your energy! Then your eyes are missing the kidney AND the liver energy they need to see clearly… see how this all fits together holistically…? To fix the dopamine depletion, you’ll need to add a herb that restores your dopamine to your coffee. You don’t need much. But you need a good quality one! It’s about your holistic eye health! There are different ways to look at what causes myopia. The “experts view” and the higher levels of investigation. The difference lays in the amount of questions asked to establish the logic levels we are dealing with. Logic levels is a term used to describe how many times a question is asked to determine the most sophisticated level to look at a situation. When looking at myopia causes that would be a question like “what causes that?” or “why is this happening?”. Unfortunately that process is cut short most of the time because we live a world of patching up symptoms, not treating the root causes of any physical issues. It pays better to sell recurring patches than to get rid of what’s causing it. Related: Discover a fast and easy way to relieve eyestrain from myopia in 60 seconds or less. Get the free guide! Let’s start with the “experts view”. By that I mean how your eye specialist would explain the problem, if they do at all. Often you just get a prescription or a pair of glasses, but let’s see how they explain myopia causes. The cause for the myopic picture that you see is that light falls incorrectly onto the retina. The retina is the back part of your eye that contains the light and color receptors to perceive what you see. It sends the information to your mind, which assembles the picture you see. As you can see in the image above, the letters fall short within the eyeball. They don’t stimulate the light receptors of the retina correctly. As you can see, when we extend the light rays fall onto the retina and recreate the letters, there are two points of focus, not a single one that you see for normal vision. Related: Discover why you really have myopia and what you can do to improve it naturally, fast, and effectively. Get your free personalized report about your myopia, in your life situation right now! Eye specialists explain myopia causes that your lens is too round, so the light entering your lens is redirected incorrectly. So the theory is to change the shape of the lens by either offsetting the shape with another lens, ie use glasses or contact lenses to achieve the result. Or they would suggest to alter the shape of the lens by taking off what they consider access in myopia surgery. How Is Myopia Caused At A Higher Level? Something this image shows nicely is that the eyeball is elongated. In reality this is what moves the focal plane. So the question remaining, and never asked nor answered by eye specialist, is what causes the prolonged eyeball in the first place? To understand the higher logical levels of myopia, it’s important to understand the eye muscles. It’s all explained in the article. As you can see on this image, there are 6 muscles attached to the eyeball. When they contract, your eyeball stretches out like a zoom on a camera, which then pushes out the lens. That causes the rounder shape, which the eye specialist pay all the attention to. That’s a healthy function of the eye. This is how we zoom in on things that we need to make out in the distance. This is how we can see objects far away clearly. But in case of myopia this happens chronically. There is chronic tension in the eye muscles that causes this process to occur all day every day. As a light zoom, and then stronger the longer you wear glasses. 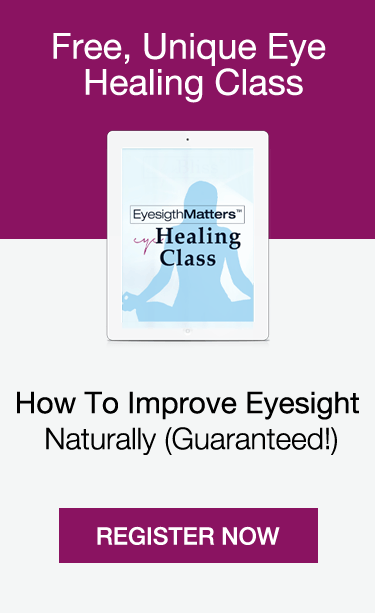 Related: Learn 8 easy steps to improve myopia naturally, fast, and effectively. Get instant access to our free email course. Why multi billion dollar question? Because if they dealt with these underlying root causes and healed your eyesight, the industry would lose the $50+ billion dollars that it turns over each and every year – in the US alone. And optometrists would not earn the recurring income that makes up part of their above average career predictions. What causes chronic tension in other muscles in our body? All types of stress; physical stress, mental stress, financial stress, emotional stress, you name it. All of these create chronic muscle tension in some areas of your body. Some have it in the neck, some in the back, some in the arms, fingers, shoulder, and some in the eye. So what causes the stress in the eye muscles, rather than other parts of the body? Especially for high myopia. Great question! What Are The Causes For Myopia In The Eyes Muscles? First of, we have to get into the meta-physical world. That word has gotten a bad rep lately with the film The Secret and the Law of Attraction. But leave these out of the picture. Meta-physical simply means “beyond the physical”. So what causes myopia beyond your physical body. That leaves only one place: our mind. Your mind is the determining factor of where the stress accumulates. With vision it’s very easy. What you don’t want to see, you won’t. Myopia manifests in the eyes when you have issues seeing yourself in the future. It used to be common that kids got myopia at the end of high school, or the end of university. Why? Because that’s when they had problems for to see themselves in the future. what you want to do for the rest of your life. You have to decide which job to apply for. If you don’t want to look at that, the tension of the stress manifests in your eyes, and viola, there you got it. You literally can’t see into the distance. who to chose as your partner to spend the rest of your life with. Which mate would be best for your happiness, to exchange genes with (yes, we still unconsciously make that decision), and who would be best to take care of your when you are in old age. Again, if you can’t see that person, you black out your vision into the distance. how to make ends meet. This one is getting more important every day because the rates of children above 30 still living with their parents is at record highs right now. All of these are important considerations and are now pushed onto teenagers and kids earlier than ever. It’s an unprecedented time in history where youth have the most choice of professions to choose from, but very little jobs available. Related: There are 5 specific foods that make myopia worse. Find out what they are. Download your free report now. If we want to black out something, we literally can do that. Since we see in the mind, not the eyes, we can black out. We only perceive the light in the eye, but our mind assembles the picture we see. Your mind is powerful, so powerful that it can decide where it sends your tension to achieve the result it needs. If you don’t want to look into the future because it’s scary, you won’t. The decision is made meta-physically, beyond the physical, but manifests on the physical plane. Myopia causes you to black out what you don’t want to look at. Can glasses, contacts, or eye surgery get rid of what’s causing myopia in your mind. Nope! That’s why you get stronger glasses after a while, and that’s why conditions return after eye surgery. If you don’t remove what’s causing the problem, it’s gonna come back. You wanted to black it out, so your mind continues to do that. Who asks shall receive. This is one example of an underlying root cause. There are others like tight shoulders, toxic liver, toxic kidneys, inflexible neck and back. All of these cause disruptions to proper functioning eyes. All of these cause myopia. That’s what we call “The Triangle of Sight”. What Is The Triangle Of Sight? So, if you don’t know what the cause are in each of these areas you are basically shooting in the dark. Because glasses, contact lenses, and eye surgery are not dealing with any of these areas you are getting stronger and stronger prescriptions over time. Myopia correction exists for a lot longer than eye surgery. It was used by almost every native culture in the world. They had to have techniques, otherwise their existence would have been under threat. Today most people only know about glasses, contact lenses, and eye surgery as ways to correct myopia, but that’s not entirely true. Imagine this; one of our ancestors browsing through the fields. Hunting weapon in hand. The grass is moving 100 meters away, but he is shortsighted. He can’t make out what it is. Is it his hunting buddy, is it pray, or maybe a predator trying to hunt him down. He wouldn’t have a clue because he can’t make it out. Seriously, it could have been his brother or his dog, or some other buddy of his. Our ancestors knew how important their distance vision was and they had great motivation to maintain and fix it. Now they didn’t have glasses, let alone contacts or eye surgery. Glasses are only around since 1855, and eye surgery since 50 odd years. Today’s surgical methods exist only since 1998 and have never been tested properly. That aside, what did our ancestors do to cure myopia? How To Correct Myopia Naturally? Something totally “new age”, some voodoo techniques that only strange people on the Internet discuss: eye exercises. That’s right, this “new fad” on the net has been around for millennia as a way to improve myopia. Around the world, many cultures used the same techniques. So why don’t we, why do we wear annoying glasses? It all started in 1855 when German physicist Herman Helmholtz studied optics and tried to understand our eyes. When he did so, research tools were rather primitive, and he decided that people get shortsighted when the lens is shaped too steeply. Being a physicist into optics he came up with the idea that you just put another lens in front of the eye to offset the distortion. That does work, but it doesn’t correct myopia. Does a crutch help you to walk when you have a twisted ankle? Of course it does, but crutches don’t correct the ankle. Same thing applies. The idea of eye surgery that you make the change in the lens permanent and scrape something off. Today a laser burns it off, but conceptually it’s the same. Does it work? For a while, but the root cause is still there, so it don’t last very often. Especially not for high myopia. 2 -5 years, and the conditions return. That’s why eye surgery is under scrutiny again since 2008. Fast forward 46 years from Helmholtz discovery, and the ophthalmic industry was thriving. They were selling a hoax correction for myopia and made a bunch of money with it. They were selling glasses and made a nice profit. The old paradigm of the west – just sell a patch, but don’t treat any condition. How Do Eye Exercises Correct Myopia? Along came an ophthalmologist, an eye doctor, Dr William Bates, and he observed what the Native American Indians did to improve their eyesight. He studied it, did a ton of research with a lot of people, and he discovered that the wrong shape of the lens comes from tension in the eye muscles that are attached to the eyeball. He had more sophisticated tools than Helmholtz, and he actually understood the eye. He studied it all his life. He then applied these techniques to improve myopia with his patients and recorded the results. He presented them to his peers, and got lobbied out! The ophthalmic industry did not want to know how to get rid of myopia because glasses were making to much money for them. Why Are Eye Exercises Not Enough? The reason eye exercises come across as “New Age” thingy is that lots of people copied and republished Dr Bates’ eye exercises as eBook on the internet. Many people claim they don’t work, and in today’s society they are partly right. In today’s world eye exercises only work when they are performed regularly. If you stop, the effects can easily diminish because the underlying root cause of what is causing your myopia in the first place is not address. When our ancestors lived, and even when Bates did his research at the beginning of the 20th century life was different. Food was different. Stress was different. People used their body and their eyes differently. People worked and travelled differently. All of that affects myopia as well. Why Are Myopia Exercises Ineffective Today? For example back when Bates was around doing his research, food was grown organically and without chemicals. Water was still clean, and there was no environment pollution from two world wars, many other wars, nuclear energy production, and many other factors around. Also our lifestyle has changed dramatically in the last 40 years, which is the exact reason why myopia has skyrocketed in that same period of time. We have to deal with lifestyle changes and environmental factors, Bates and our ancestors did not face. Today effective correction for myopia has to include the health of your liver, your colon, your physical body, your joints, our blood flow, and many other factors. Life has changed, so we have to adopt, too. To cure myopia we have to change course. What’s The Most Common Correction Method For Myopia? Unfortunately it is glasses and contacts, followed by laser eye surgery. None of these methods truly correct myopia though. Otherwise the correction would be long-term. With glasses and contacts we know for sure that there is no improvement because you never get weaker glasses. If anything improved, your prescription would get weaker and weaker until it’s gone. When was the last time that has happen to you? With eye surgery the effectiveness is much harder to track. The official numbers of the FDA put the rate of patients that get glasses again at 50%. That’s the numbers the FDA officially reports, so it’s safe to assume the real numbers are higher than that. What Is The Best Correction For Myopia? One thing that remains constant is that you can improve your vision naturally, and that glasses, contacts, and eye surgery are NOT meant to get rid of myopia. They are meant to generate recurring revenue. So in order to start correcting your myopia naturally, fast, and long-term, the best way to get there is to get a personalized report about your eye conditions available on our website here. Click here to answer the few short questions about your specific case of eye problems, and we’ll send you a personalized report about where you need to pay most attention to. Do that now, and enjoy the report! If glasses improved your eyesight your prescription should get lower over time, right? Then it’d make sense. You’d just get weaker and weaker glasses until they are gone… but when did that ever happen to you..? Exactly! So, why do they get stronger over time? So, why do you get glasses that are too strong? What most people fail to realize is that your eyesight is dynamic. It changes constantly throughout the day! Back to -2… and then the liver has to deal with the sugar and milk… meaning, your eyes get less energy than they should… and now you are down to -3! So, if you come to your eye test after the sugar crash, you’d get way too strong glasses this time around! There are so many factors… I think you get the point! NO child had perfect vision all day long! But every child was different… because every person is different! You react to bread and bananas differently than I do… your digestive systems behaves differently than mine… depending on that, the test will change! 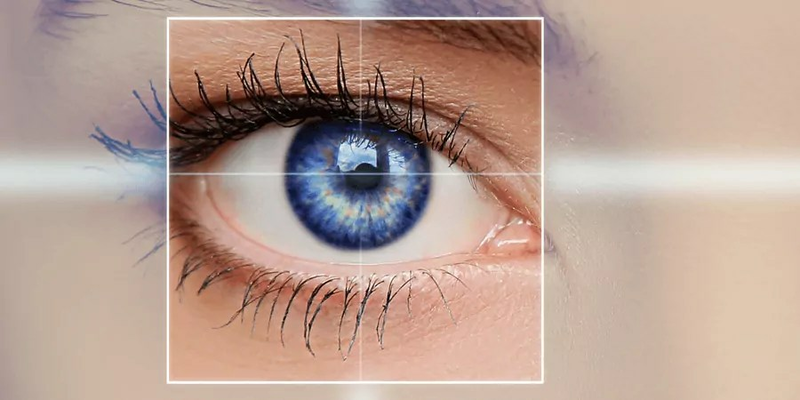 The most accurate measurement would be to test your eyes with a 20/20 vision test in daylight throughout the day multiple times… take the average, and there you go! That would be the closest to an honest evaluation. You Can Turn This Around! With the right system, you can reduce your strength and get weaker and weaker glasses… until your glasses are gone! Stay tuned for tomorrow’s bag of tricks! How did you like today’s lesson? Was it useful? Just leave a comment, give me feedback, and let me know what your questions are! But those little stingy bastards have amazing healing properties for your eyesight and health. Because it’s very high in Silica. One of the most important nutrients for great health. Silica is important because it’s one of the two minerals your body needs to make calcium. So it’s important for your nails, your hair, your bone density, and your kidney health. That’s why most people today have compromised kidneys. Now that’s not a problem like kidney failure or dialysis. But it’s enough to impact your eyesight. There are quite a few ways to use the plant. Here are two that you can use at home easily. If you have a good juicer that can juice green leaves, that’s an excellent option. It’ll be a super health potion for your nails, hair, and skin… and your eyesight and health! You can get dried, lose nettle to make tea in most health shops today. It’s cheap and readily available. It’s the easiest way to get this into your body. Brew it overnight to get the most nutrients into your tea. Sweeten to taste and off you go. Your eyes and body will thank you for it! Why Did You Get Eye Problems In The First Place? Is it genetic? Is it because you read too much? Is it because you don’t use enough light at night? Or is it because of computers? Science can’t find a connection to genetics. Any research study into that direction shows the opposite. Within the same gene pool, other factors cause eye problems. Reading, light, and computers also didn’t prove to be a factor. There isn’t a study available that connects computer use, reading, or bad light to eye problems. Stress, diet, and posture continue to show definite reasons. So when we talk about hereditary eye conditions, it’s more the habits we inherit than the genes. You see, before you were even three years old, all you did was observing your parents. Everybody does the same. It’s called modelling. In that age bracket, we have no conscious faculties in our mind to analyze if our parents’ habits are serving them or not. That’s where the “oh, you are just like your mom” or “you are just like your dad” comes from. We take on the way we deal with stress. We model their posture. And we like the foods they like, just because they do. And that is the key to inheriting eye conditions. But the other factor is much harder to detect. Your optic nerve enters right into your emotional brain. It’s the Old Brain that doesn’t think. It’s only concerned with your survival. Because of that, every eye problem has an emotional pattern attached to it. Some are fear of the future. Others are resentment of the past. Or dwelling on the should have’s and could have’s in life. And then there is a dislike of the self. With some eye conditions you just try to avoid seeing an aspect of yourself, you are not happy about. Now go back to the time you got your first pair of glasses. The day that you found out that you have eye problems. Go another two years back. Within that timeframe, within these two years, analyze what happened to you emotionally. What was upsetting to you? How did you get hurt? That’s the true starting point of your eye problem! Whatever eye condition you have, there is an emotional underlying reason for it. Uncover that, and you at least know what to work with. Does this make sense? If not, ask questions in a comment below. If yes, let me know if you can pinpoint that moment in your life. You do it every day. Thousands of time and you never think about it. Hardly anyone does. But you should. Because it’s the essence of life. How long can you survive without food? – About 70 days tops. How long can you survive without water? – If you are lucky 5-7 days max. How long can you survive without oxygen? – 5-7 minutes max and you are dead! Breathing is possibly the most important part of health. Because if you stop, oxygen stops, and you’ve got 7 minutes left. But why don’t we think about it? Because it’s an automatic reflex. Nature is smart. She knows we would all die pretty quickly if we had to remember to breathe every few seconds. So she made it an automated reflex. After all, we are supposed to change our breathing patterns throughout the day. Breathe more relaxed when we chill out. Breathe more intense when we run, hunt, or do any other physical activity. That would alter the amounts of oxygen we get into our system. It would make sure, we always get the oxygen we need. But life has changed. Our breathing and oxygen needs were not designed to sit on our behinds in front of screens all day. We were not made to use only our finger muscles day in day out. Today we must take the time to breathe. And to breathe well. In a way, that relaxes the system and nourishes our cells. Including your eyes, because they need oxygen too. Repeat a breath like that 7 times. Breathe deep and consciously for 7 breaths. And repeat as often as you can throughout the day. You will soon notice a fundamental shift in your breathing. And with that, a shift in your body posture. This is one of the simplest types of breathing you can do. 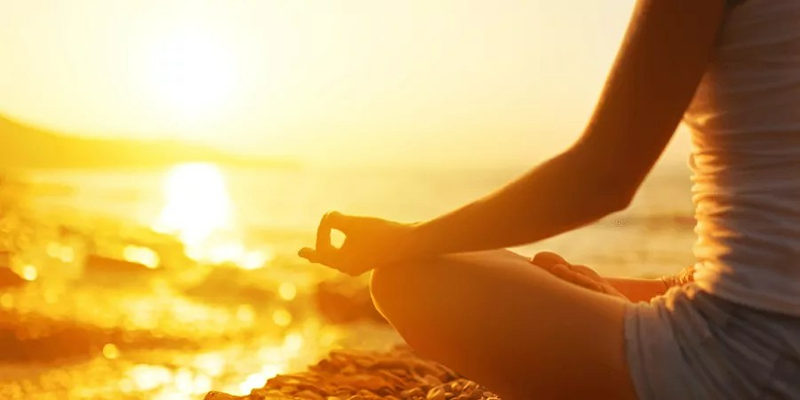 In the Pure Vision Method™ we cover more advanced, yet easy-to-do breathing techniques that you can easily add to your life. They won’t cost you time. They will add time to your life. Because the 5 minutes you invest per day will go a long way. They will make you more productive, help you to focus, and give you energy all day. So, you’ll soon get another chance to join the Pure Vision Method™. Stay tuned, as you can see, it’s worth the wait. So many time-tested, simple ways to improve your eyesight, life, and health that will finally allow you to have energy again. To focus again. And to feel good about yourself again. Let’s make your eyesight great again! It’s easy, once you know what to do. So stay tuned. That’s a great question! Let’s face it, most people think they need their glasses to get through their day. Without them, they’d be lost. So, you can improve your eyesight naturally, even when you need glasses daily. Our client Madhura just fixed here eyesight from -9 to no more glasses. While doing a PhD in research science. Not just the time you need for the research part… but the time you need for writing and editing the thesis. That’s a ton of work! The secret is simple; she got rid of her glasses holistically. While improving her energy, self-esteem, and her ability to focus. With the Pure Vision Method™ you get rid of your root causes for your eye problems step-by-step. First, you release the root causes from your mind. Then you let go of all the emotional baggage that is causing your eye problems today. Then you learn how to nourish your body and cells right. Fast and effectively, because nobody has time to waste. Plus, you learn exactly how to get rid of toxicity that is weighing down with sluggishness on your energy right now. Next, you balance out your body in a way that recharges your batteries. In a way that improves your sleep, and energizes every part of your being. Lastly, you balance out your eyesight to get rid of your glasses step-by-step. And that’s the key; step-by-step. In the course, you learn exactly how to orchestrate the steps. If you need them. Because some clients can just get rid of their glasses. Others have to reduce their prescriptions slowly. Because the shock would be too great for their eyes. And yes, you can get prescriptions cheaply to step down. You also don’t need a new eye test and a new prescription for each pair. We provide you with all the guidance and resources. So you can just focus on getting rid of your glasses. We did all the hard work for you. The trick is to reduce your prescriptions steadily and consistently. In a way that you can fit into your life. And we lay all of this out for you systematically. So, stay tuned for the next opening. Because it’s really like me holding you by the hand every step of the way. Now, I will turn off the comments for this post. Why? Because everybody reading this will ask me for their steps. And to guide you effectively, I need to know more about your situation. That’s what the Pure Vision Method™ is for. It gives me the background information I need to guide every client effectively. Without that information, I can’t guide you. And frankly, that’s reserved for our clients in the course. So, as I said, stay tuned for the next opportunity to get in! Do Your Eyes Have Guts? So today, let’s have a look at an overlooked topic that can really charge your eyesight and health. You see, the food industry has led us to believe some strange things. We buy stuff that looks like food, but when we read the ingredients list, it sounds like a NASA manual. Seriously, have you read the ingredients panel of your bread lately? What does most of the stuff even mean? Sadly, some really nasty things… But, I promised to keep is positive today. So with the concept of how food should look like, standardized and sparkly shiny, we got the idea that some foods are bad. That some foods are rotten, even though they can be your greatest ally in this crazy world. Yes, sauerkraut, kefir, thick milk, and really smelly cheeses made from raw milk! Real yogurt and real, alive fermented vegetables. When these foods ferment, they build good bacteria. The type that will help your gut to stay healthy. It’s the probiotic bacteria that will build your immune system. Yes, it’s the same little bacteria they sell in capsules today. The only difference is that your body actually knows what to do with the food. With the supplements, it may, but it may not. Many of the probiotic supplements are genetically modified organisms. So you should better stay away from them. Now, these foods are traditional to all cultures. Every single culture has some traditional food that is fermented. Because it was a way to preserve food and to store it. The bacteria eat the sugar that would spoil the food. And the environment preserves the food. => now cover it with a plate and rest a jar with water on the plate to create some pressure on the cabbage. Let is stand for 24 – 48 hours. And voila, you have alive, organic sauerkraut! Once you got the basic version down, try to add some carrot pieces. Or some dill, or other herbs you like. Balance the salt and sugar for taste and bacterial growth. Now add this to your salads and meals. Your gut will thank you. And so will your eyes. Because there is a direct connection between your gut, your colon, and your eyesight. So, if your gut is full of s***, your eyesight is s*** too… yes, I know, that’s gross, but it’s true!! So go, get a cabbage and start chopping! As you can see, this is a total makeover for your eyesight, life, and health! 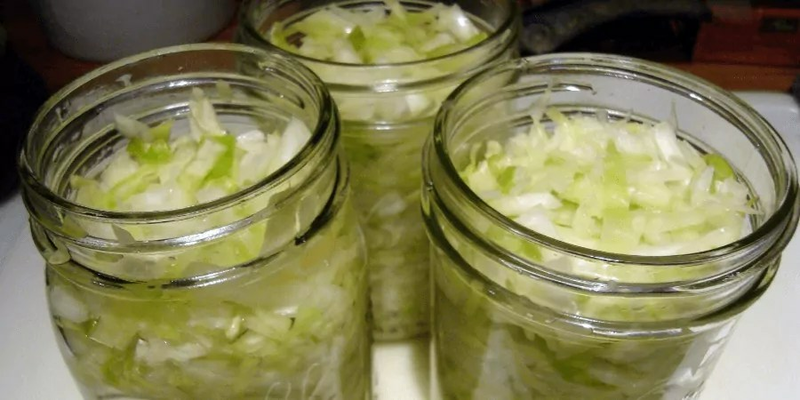 Stay tuned, and leave us a comment below… how did your sauerkraut turn out?